1. Oil from shale formations in the US. 2. Oil from the Oil Sands in Canada. I would argue that far more crude oil production was enabled by high oil prices than I subtracted out in Figure 2. For example, Daqing Oil Field in China is a conventional oil field, but greater extraction has been enabled in recent years by polymer flooding and other advanced (and thus, high-cost) techniques. In the academic paper referenced earlier, we found that the amount of unconventional oil extracted in China in 2014 would be increased by about 55 percent, if we broadened the definition of unconventional oil to include oil made available by polymer flooding in Daqing, plus some other types of Chinese oil extraction that became more feasible because of higher prices. There are clearly many smaller fields where higher extraction was made possible by high oil prices that allowed oil companies to utilize more advanced techniques. Deepwater drilling also became more feasible because of higher prices. 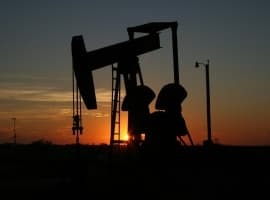 Another example is Russia, which is reported to have heavy oil extraction that would not be commercially feasible if oil prices were below $40 to $45 per barrel. If we were to add up all of the extra oil production in many areas of the world that was enabled by higher prices, the total amount would no doubt be substantial. Subtracting this higher estimate of unconventional oil in Figure 2 (instead of the three-country total) would likely result in more of a “peak” in conventional oil production, starting around 2005. I suppose that we could even say that if conventional oil were all that we had in 2005 and subsequent years, supply would have fallen far short of demand, based on Figure 2. This last statement is somewhat debatable, however, because there would have been other feedbacks, as well. It is possible that if total supply were very short, oil prices would have spiked to an even higher level than they really did. The resulting recession would likely have brought prices down, and temporarily brought demand back in line with supply. If prices had stayed low, there might have been a second round of shortages, with an even greater supply problem. This, too, might have been resolved by another price spike, quickly followed by another recession that brought world demand back down to the level of supply. Two other models that were used beyond the limits for which they were originally designed were the Hubbert Curve and the 1972 Limits to Growth model. Both of these models are suitable for determining approximately when limits might be hit. Even though Peak Oilers have believed that these models can accurately determine the shape of the decline in oil supply and in other variables after reaching limits, there is no reason why this should be the case. I talk about this problem in my recent post, Overly Simple Energy-Economy Models Give Misleading Answers. 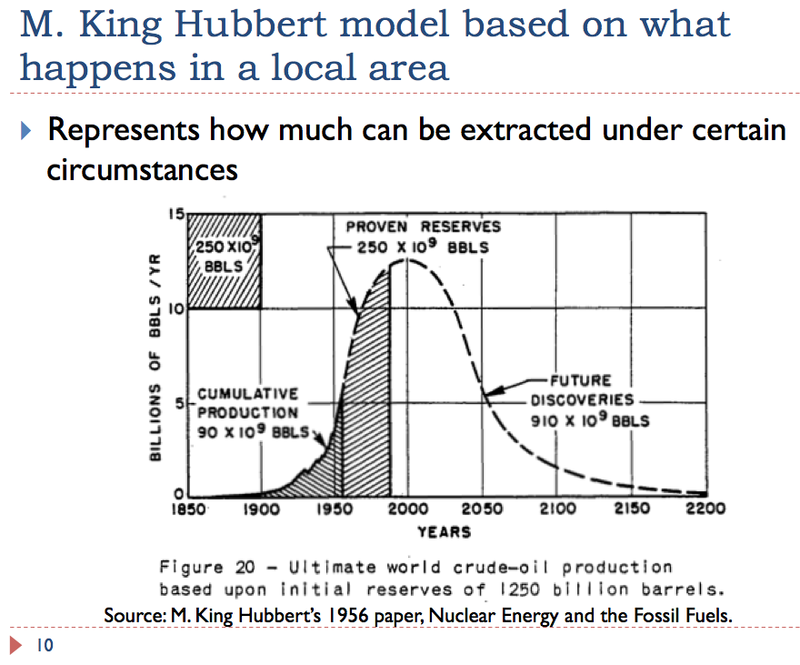 Thus, for example, there is no reason to believe that 50 percent of oil will be extracted post-peak. This is only an artifact of an overly simple model. The actual down slope may be much steeper. We can’t count on long-term high prices. The idea that fossil-fuel prices will gradually rise, and because of this, we will be able to substitute high-priced renewables, seems very unlikely. In the United States, our infrastructure was mostly built on oil that cost less than $20 per barrel (in 2015 dollars). We know that with added debt and greater complexity, we were temporarily able to get oil to a high-price level, but now we are having a hard time getting the price level back up again. We really don’t know how high a price the economy can afford for oil for the long term. The top price may not be more than $50 per barrel; in fact, it may not be more than $20 per barrel. 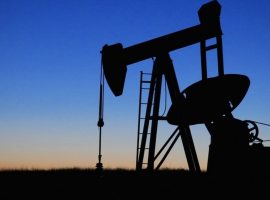 Related: Oil Majors Leaving South-East Asia – A Red Flag For The Area? We need to look for inexpensive replacements for both oil and electricity. Many substitutes are being made to produce electricity, since indirectly, electricity might act to replace some oil usage. There is considerable confusion as to how low these prices need to be. In my opinion, we can’t really raise electricity prices without pushing economies toward recession. Thus, we need to be comparing the cost of proposed replacements, including long distance transport costs and the cost of adjustments needed to match electric grid requirements, to wholesale electricity prices. In both the U.S. and Europe (Figure 9), this is typically less than 5 cents per kWh. (In Figure 9, “Germany spot” is the wholesale electricity price in Germany–the single largest market.) At this price level, producers need to be profitable and to pay taxes to help support governments. We need to be careful in aiming for high-tech solutions, because of the complexity they add to the system. High-tech solutions look wonderful, but they are very difficult to evaluate. How much do they really add in costs, when everything is included? How much do they add in debt? How much do they add (or subtract) in tax revenue? What are their indirect effects, such as the need for more education for workers? 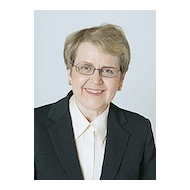 "The two hallmarks of providing true net energy to society are (1) being able to provide energy cheaply, and (2) being able to provide tax revenue to support the government. When actually integrated into the electric grid, electricity generated by wind or by solar generally requires subsidies–the opposite of providing tax revenue." I would agree alternative energies, like solar & wind, need to ultimately be able to stand on their own, without government subsidies. However, I disagree they need to provide tax revenue. Its not as though conventional energies provide tax revenue. Unsubsidized (market driven) conventional energies allow human activity to generate tax revenues. Unsubsidized (market drive) alternative energies just have to do the same. They need to be assessed based on their net-present-cost per unit of energy over their useful lifetime - relative to the same analysis of conventional energies. Its a very tricky comparison, as alternative energies have higher upfront capital costs, with lower operational costs, while conventional energies have lower upfront capital costs, with higher operational costs - but the analysis can be done. To boot - it doesn't have to be 'either/or'. Neither 100% energy from conventional nor 100% energy from alternative would result in the highest level of productivity. As you have pointed out, the marginal cost of oil increases as you attempt to increase production. The same is largely true of solar. Max productivity is met with a (shifting) mix of conventional and alternative energies. Getting the mix right is, indeed, quite difficult. We'll have to convert to alternative energies - now, because now there is cheap oil, gas and coal left. 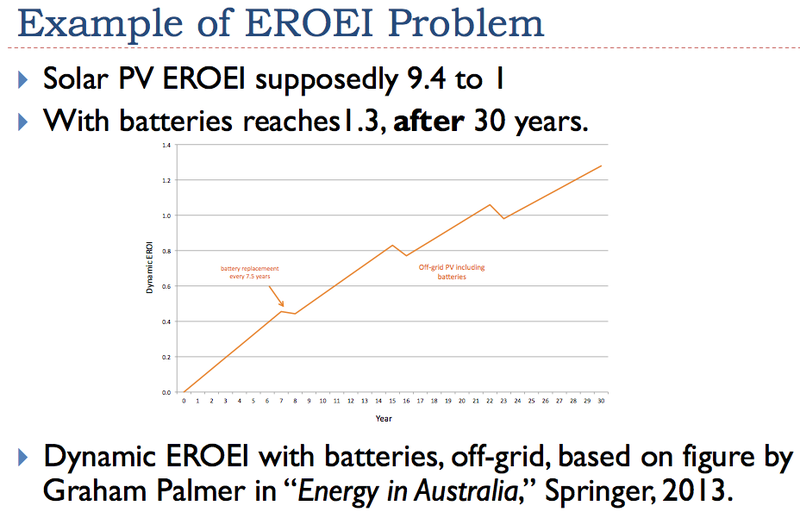 EROI of alternative energy still can be improved by innovation, while EROI of fossile energies will continue to fall due to depletion of the good spots. Solar is still in the 1st generation, thin film cells and solar dye is in the pipeline to improve EROI. Wind has improved, too - even with the trend to build the towers from wood, using less coal-intensive steel. Wind kites are in development. The good is: This is technology, which can be improved. Fossile depends on ressources, which are given. Now, the world is enclosed with oil an gas pipelines crossing continents. Perhaps we'll have in future transcontinental electric powerlines, which deliver australian sun power in our night. And perhaps we'll have more workforce in energy technique and less in advertising, creating fast food and selling insurances. Good article Gail I do agree. And this is one of the reasons we have gone solar along with electric cars.